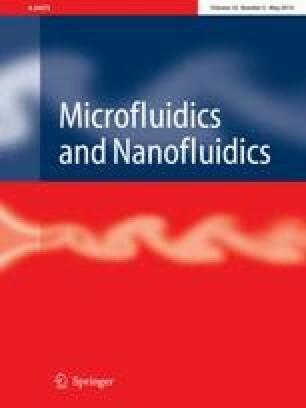 In the present study, we introduce a novel approach to control and modulate fluid transport inside microfluidic papers using lab-engineered paper sheets. Lab-sheets consisting of different fiber sources (eucalyptus sulfate and cotton linters pulp) and varying porosities were designed and further modified with small millimeter-scaled channels using hydrophobic barriers consisting of fiber-attached, hydrophobic polymers. The capillary-driven transport of an aqueous solution was monitored visually, and the influence of parameters such as fiber source, paper grammage, and channel width on the flow rates through the channel was investigated. The experimental results were compared with those obtained with commercially available filter papers. Our findings suggest that accurate control of fluid transport processes with standard filter papers is complex. Additionally, if the channel width is smaller than the mean fiber length, flow rates become dependent on the geometric parameters of the channel because of the formation of dead-end pores at the hydrophobic barriers. Finally, control of the paper sheets porosity, by varying the fiber density of the lab-made paper, affords the fabrication of chemically identical sheets whereby capillary flow is largely influenced and can be modulated accordingly by simple papermaking processes. The online version of this article (doi: 10.1007/s10404-013-1324-4) contains supplementary material, which is available to authorized users. We thank Martina Ewald and Heike Herbert for various technical support. A. Böhm likes to thank the Excellency cluster “Center of Smart Interfaces, CSI” for a research scholarship. Financial support by the Hessian excellence initiative LOEWE within the cluster SOFT CONTROL and from the Verband der Papierfabriken (VDP), Grant No. INFOR 137, is gratefully acknowledged.